The new boutique bakery refrains from serving pork items at its premises, and alcohol is not used� in any of the food items with the focus of attracting people from all walks of life and giving everyone the opportunity to taste what BreadTalk has to offer. The�outlet also serves a range of products for the health conscious consumer with an array of bakery items prepared with whole meal flour, unpolished rice toast, sunflower seeds and green tea bread is also available. The newly opened outlet is the second in Sri Lanka and it is housed in a refurbished 100 year old scintillating colonial building. The interior of the bakery is on par with the general BreadTalk theme and ambience but the authentic feel of the colonial building was kept untouched. The new premises boasts of the largest open kitchen concept in Asia and the seating area is available both indoors and outdoors with a caf� style atmosphere. 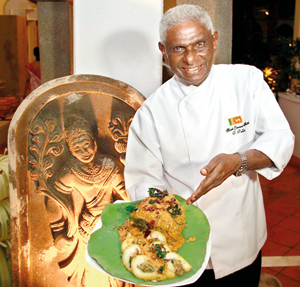 ‘BreadTalk is a unique experience to Sri Lanka from the food items, the ambience to the serving procedure therefore you need to come and taste what we offer. We spend lot of time on each of our food items and there’s a lot of creativity involved in every piece so I invite everyone to visit our new outlet and experience what BreadTalk is all about’ said Yatila Wijemanna, Managing Director of FoodBuzz. BreadTalk is an international brand with its origins from Singapore; it has made its presence in 17 countries with close to 600 outlets in Asia within a short time span of 11 years. 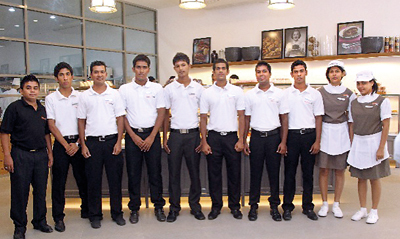 BreadTalk Sri Lanka is a franchise of the international chain managed by FoodBuzz (Pvt) Ltd.